The Crosstown Showdown — the new, all-Division I edition of the rivalry between California Baptist University and the University of California, Riverside – started strong when the Lancers claimed a 3-2 victory in volleyball in October 2019. Since then, both Lancer basketball teams defeated the Highlanders and CBU men’s soccer narrowly dropped a thrilling overtime match. Now in the spring season, the rivalry has transitioned to the baseball and softball diamonds. Lancer baseball took on UCR, March 1, with a road game and, March 3, in a home-away doubleheader. CBU entered the three-game series as an undefeated team. In the series opener March 1, the Highlanders used a five-run fifth inning to sneak past CBU 8-3. The doubleheader on March 3, however, was much closer. CBU rallied in Game One, but came up just short, falling 5-4. In the nightcap, the Lancers once again used a late rally to put pressure on UCR, but ultimately fell 7-4. Despite the result, Gary Adcock, head coach of baseball, said the series was a great chance for the team to be tested early in its DI years. The second-largest crowd in program history showed up for the series finale. Meanwhile, on the softball diamond, CBU played two games at the UC Riverside Classic. 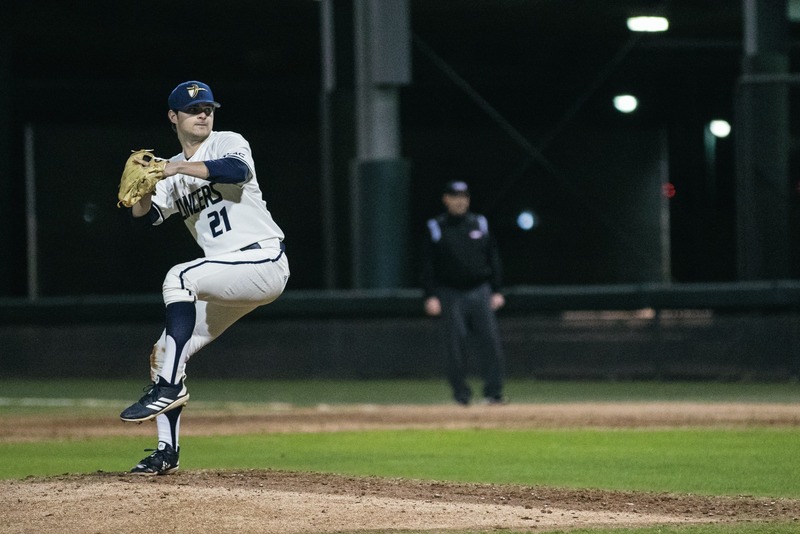 The Lancers shut out the University of Texas at El Paso and were narrowly edged by Sacramento State University. CBU softball was originally scheduled to face UC Riverside on, March 3, but weather complications mean the Lancers will have to wait until April 10 for their shot at the crosstown rival. Anise Avalos, senior psychology major and shortstop, said the team is looking forward to facing the Highlanders at home. After a 9-0 start for baseball and a statement win over Fresno State University for softball, the Lancers have started conversations well outside of Riverside. CBU baseball was even featured in Baseball America Magazine. The Crosstown Showdown will wrap up on April 10 at the John C. Funk Stadium, as the Lancers look to go out on top in Riverside.